Oytun Ersan is a Turkish Cypriot electric bass and upright bass player, composer and bass teacher. 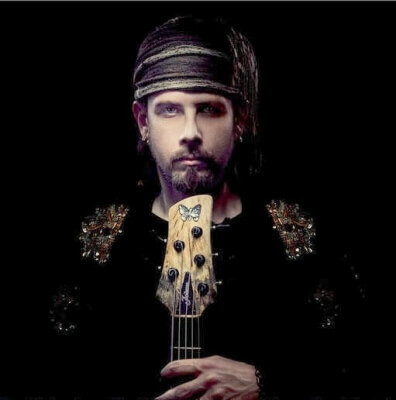 Born to Ertan and Meral Ersan in June 1978, Oytun is the younger of two Ersan brothers, the older being the famous jazz fusion artist Okan Ersan. Oytun Ersan, whose father was also a bass player, started to play the piano and saxophone at an early age. Always being attracted to the bass guitar, Oytun decided to start a new journey which would change his whole life. He put aside his saxophone and grab a bass guitar. From the very first day, he could not think of anything else but his instrument and music. In a short time, he was on stage, but not with his saxophone this time, but with his bass. 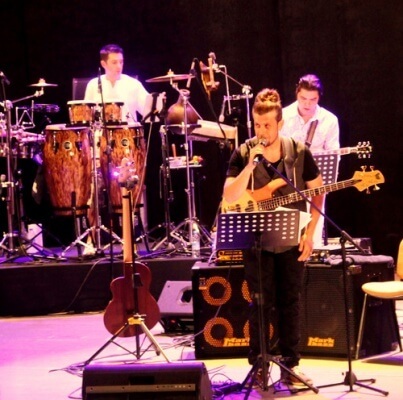 At the early age of 15, Oytun joined the International Nicosia Municipality Orchestra as a bass player where he is still working for the last 20 years. In 2002, Oytun has successfully completed BA in Music undergraduate degree program at the Eastern Mediterranean University, Cyprus. In addition, he received one-on-one training with the world famous bass teacher Joe Hubbard whose contribution to the development of Oytun’s music performance and vision is invaluable. His passion for music also lead Oytun to attended an Instrumental Conducting Course Masterclass run by the world famous conductor Prof. Peter Start from the Royal College of Music in July 2014. 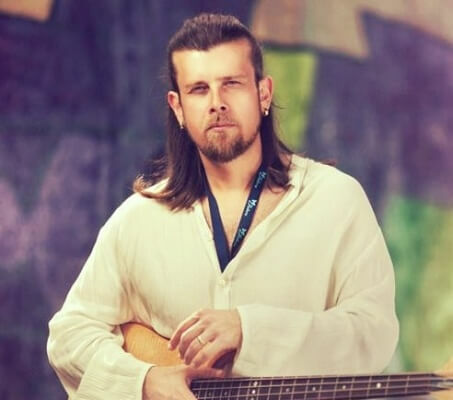 During his career as a musician, Oytun has contributed to a great number of album projects, and performed at various international festivals and venues. He has worked with a number of world famous musicians including his brother Okan Ersan, Rex Richardson, Wycliffe Gordon, Thomas Wolff, Savvas Savva, Tony Jones, Ola Onabule, Lloyd Chisholm, Paul Roos, Andrey Alpatov and many more. Having always loved rock and funk music, Oytun had begun to appreciate jazz fusion by 2010. Being influenced by Jaco Pastorius, Victor Wooten, Tom Kennedy and Joe Hubbard, Oytun is deeply in love with his instrument and the amazing world of music. 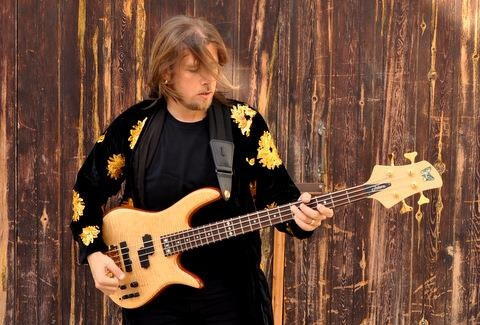 Oytun is now teaching electric bass guitar at Yamaha Music School in North Cyprus and working towards recording his own jazz fusion album which will be released by January 2015. Oytun is married to his beautiful wife, senior lecturer and academician Dr. Melis Unal Ersan since January 2013.